New York Giants Cut Kevin Ogletree and Terrell Manning: The New York Giants terminated the contract of wide receive Kevin Ogletree and waived linebacker Terrell Manning on Thursday. 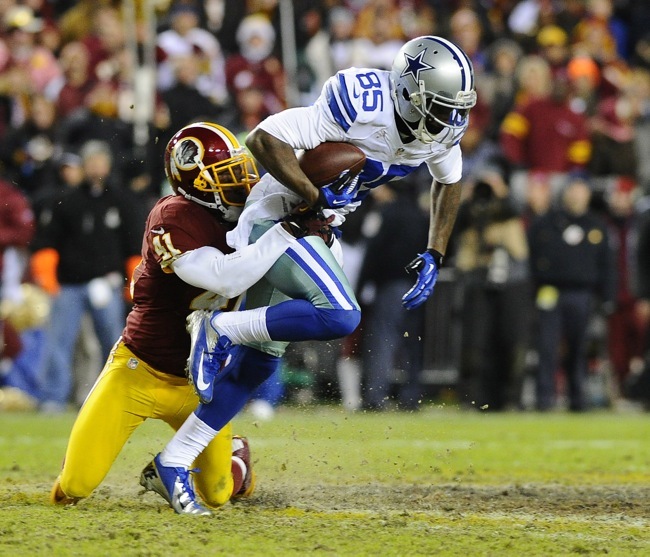 Ogletree was originally signed as an undrafted rookie free agent by the Dallas Cowboys after the 2009 NFL Draft. He has spent time with the Cowboys (2009-12), Tampa Bay Buccaneers (2013), and Detroit Lions (2013-14). The Lions waived Olgetree in September 2014. 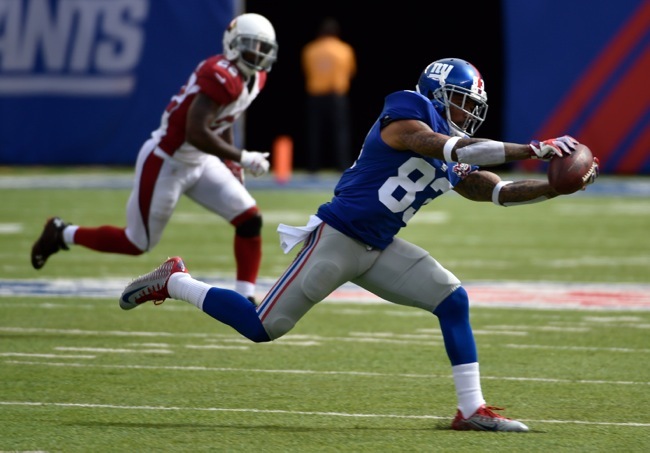 The Giants signed him in October 2014 and Ogletree played in seven games for New York, catching five passes for 50 yards. Manning was originally drafted by the Green Bay Packers in the 5th round of the 2012 NFL Draft. Manning has spent time with the Packers (2012-13), Chargers (2013), Vikings (2014), Dolphins (2014), Bears (2014), and Bengals (2014). He was with the Giants in training camp, waived, and then re-signed off of the Practice Squad of the Bengals in November. 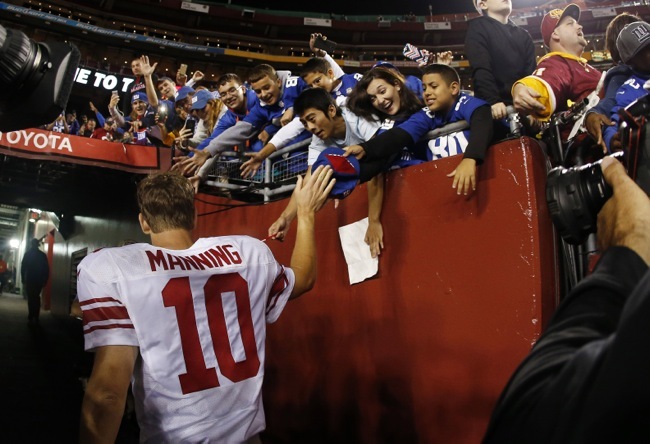 Manning was placed on Injured Reserve in December 2014 with an ankle injury after playing in only one game with the Giants in Week 13. Jerry Reese Interview on The NFL Network: A video of an NFL Network interview with General Manager Jerry Reese is available at NFL.com. CB Prince Amukamara on WFAN Radio: The audio of a WFAN interview with CB Prince Amukamara on Tuesday is available at CBS New York. 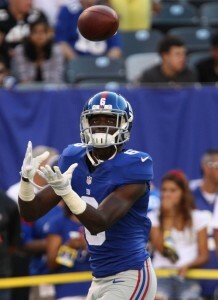 FOX Sports is reporting that the New York Giants have re-signed wide receiver Kevin Ogletree to a 1-year contract. Ogletree was scheduled to be an unrestricted free agent next month. Ogletree was originally signed as an undrafted rookie free agent by the Dallas Cowboys after the 2009 NFL Draft. He has spent time with the Cowboys (2009-12), Tampa Bay Buccaneers (2013), and Detroit Lions (2013-14). The Lions waived Olgetree in September last year and the Giants then signed him in October. 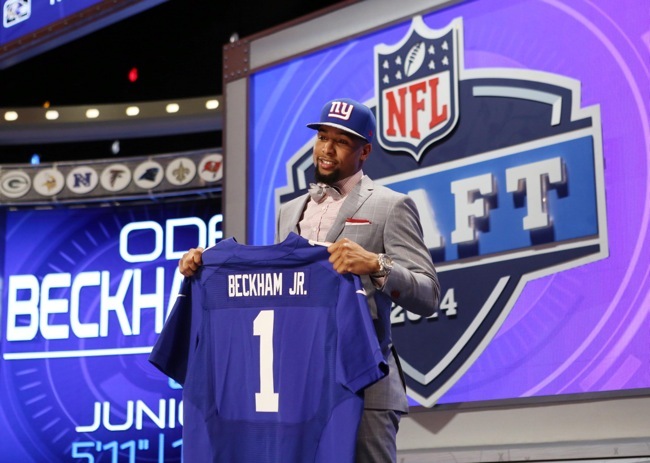 He played in seven games with the Giants, but only caught five passes for 50 yards. In six NFL season, Olgetree has played in 69 games with four starts. He has 83 career receptions for 1,049 yards and six touchdowns – two of which he scored against the Giants in the 2012 opener as a Cowboy. Ogletree has decent size, athletic ability, and hands. Giants have re-signed WR Kevin Ogletree to a one-year deal, per source. 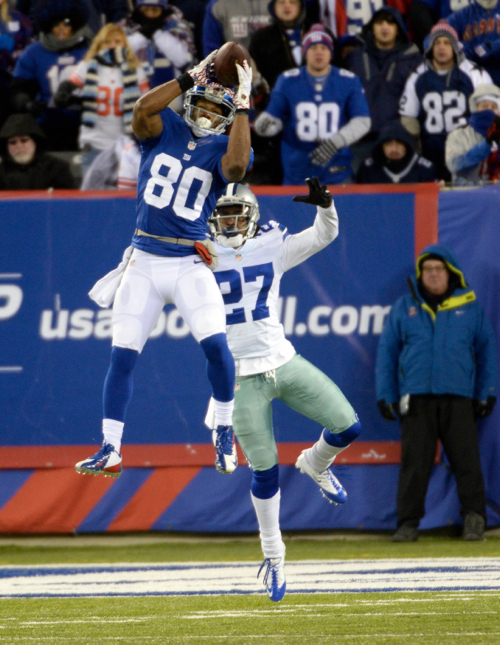 For a complete listing of New York Giants free agents, see the 2015 Free Agent Scorecard. 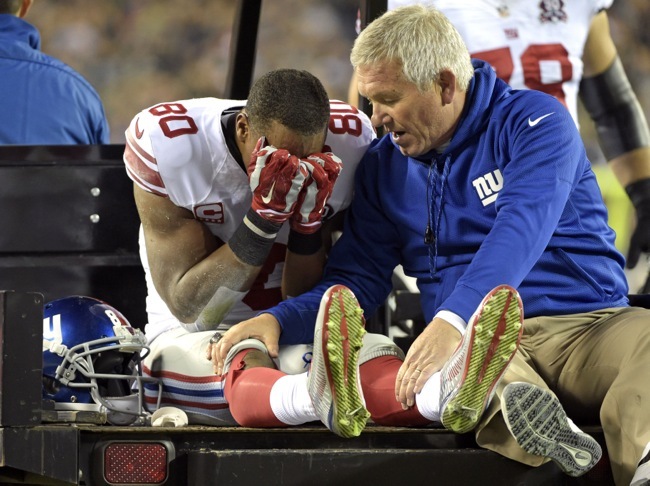 October 15, 2014 New York Giants Injury Report: CB Dominique Rodgers-Cromartie (back/hamstring) and RB Rashad Jennings (knee) did not practice on Wednesday. 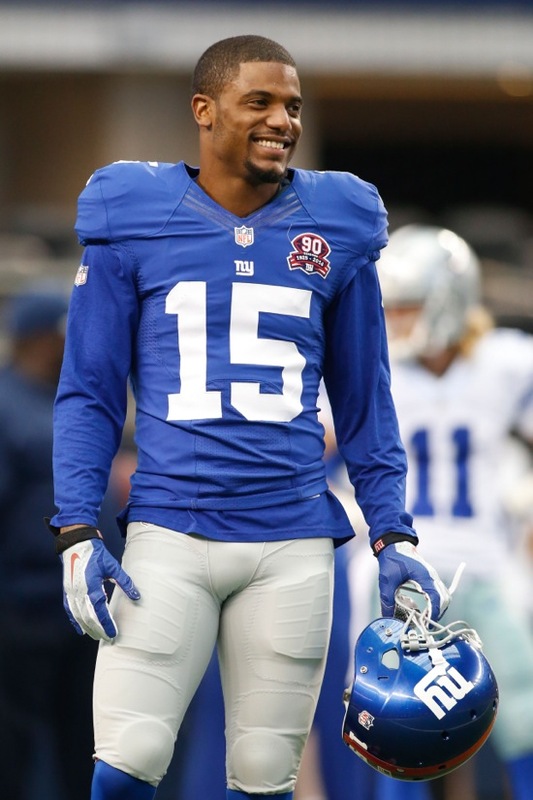 Head Coach Tom Coughlin said Jennings will not play this weekend against the Dallas Cowboys. October 15, 2014 Tom Coughlin Press Conference: The transcript and video from Wednesday’s press conference with Head Coach Tom Coughlin are available at Giants.com. Victor Cruz and Trumaine McBride to IR; Kevin Ogletree and Chandler Fenner Signed: The Giants placed WR Victor Cruz (knee) and CB Trumaine McBride (thumb) on season-ending Injured Reserve on Tuesday. To fill these two roster vacancies, the Giants signed veteran WR Kevin Ogletree off the street and signed CB Chandler Fenner from the team’s Practice Squad. Ogletree was originally signed as an undrafted rookie free agent by the Dallas Cowboys after the 2009 NFL Draft. He has spent time with the Cowboys (2009-12), Tampa Bay Buccaneers (2013), and Detroit Lions (2013-14). The Lions waived Olgetree in September. In six NFL season, Olgetree has played in 62 games with four starts. He has 78 career receptions for 999 yards and six touchdowns – two of which he scored against the Giants in the 2012 opener as a Cowboy. Ogletree has decent size, athletic ability, and hands. Fenner was originally signed by the Kansas City Chiefs as an undrafted rookie free agent after the 2012 NFL Draft. He did not make the team but the Seattle Seahawks signed him to their Practice Squad in December 2012. He missed all of 2013 with a knee injury that landed him on Seattle’s Injured Reserve. 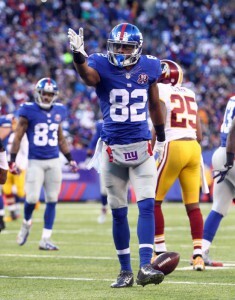 The Giants signed Chandler Fenner in August 2014. Fenner has a nice combination of size and athleticism and he plays a physical game. Practice Squad Moves: Aside from signing CB Chandler Fenner to the 53-man roster from the Practice Squad, the team released WR Travis Harvey from the Practice Squad and placed CB Bennett Jackson (knee) on the Practice Squad/Injured list. To fill these three vacancies, the Giants signed WR Chris Harper, LB Carlos Fields, and CB Victor Hampton to the Practice Squad. Harper was originally drafted by the Seattle Seahawks in the 4th round of the 2013 NFL Draft. Harper did not make the team and has since spent time with the 49ers (2013) and Packers (2013-14). Harper played in four games with the Packers in 2013 and was cut by the team in August. Harper has a nice combination of size (6’1”, 230lbs) and athletic ability. He is a tough, physical receiver with good speed and hands. Fields was originally signed as an undrafted rookie free agent by the Oakland Raiders after the 2014 NFL Draft. He was released from the Raiders’ Practice Squad in September. Fields is a raw player with decent size and athletic ability. He was a very instinctive player in college. Hampton was originally signed signed as an undrafted rookie free agent by the Cincinnati Bengals after the 2014 NFL Draft. The Bengals waived him in August. He is a short but well-built, physical, confident corner with good agility. He lacks ideal speed. Hampton has had some off-the-field issues. WR Victor Cruz and CB Trumaine McBride Undergo Surgery: The New York Giants announced that WR Victor Cruz underwent successful surgery on Monday to repair the torn patellar tendon in his right knee. The surgery was performed by team physician Dr. Russell Warren at the Hospital for Special Surgery in Manhattan. CB Trumaine McBride also underwent surgery to repair a fractured thumb. The operation was performed by Dr. Robert Hotchkiss at the Hospital for Special Surgery.